Feb 5 (AZINS) Saurashtra batsmen survived nasty body blows from Umesh Yadav during their gallant fight against Vidarbha in the Ranji Trophy final, which is now on an even keel after the third day. 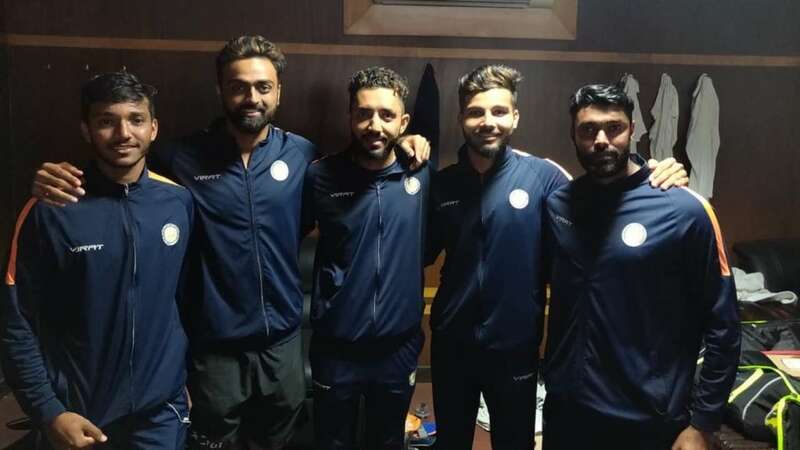 But there was no respite for the hosts as captain Jaydev Unadkat (46) then produced one of the best knocks of his first-class career by digging in his heels with Chetan Sakariya (28). They piled on the frustration of Vidarbha by batting for 26.5 overs to add 60 runs for the last wicket as they got tantalisingly close to a first-innings lead. Umesh banged it short and fast and had better control over the line but it was left-arm spinner Sarwate, who provided the first breakthrough when he trapped Mankad, with a straighter one while the batsman played for a turn.